Can MOOCs Improve India’s Higher Education? Massive Open Online Courses (MOOCs) exploded in popularity in 2013. With the ease of enrollment (I myself have registered for one) and low costs, some MOOCs have drawn more than 160,000 participants from around the world. For countries with mushrooming populations like India, MOOCs offer much promise. India has a gross university enrollment rate (GER) of only 18% and a youth population of 234 million. Tasked with increasing enrollment rates to 30% by 2020, MOOCs can provide the seats that India needs. But as with any new technology, the government and universities are exploring how to best implement and blend MOOCs with existing models. What are India’s main HigherEd challenges? The Indian government is focusing on expansion, equity and excellence in higher education for the next few years. India will need 14 million seats in 5 years to meet its GER goals. Considering this, one can easily decide that brick and mortar schools will not be the primary solution. Quality of education has slipped severely over time due to lack of regulation and scarcity of instructors. Although private universities have helped increase seats, some institutions have only focused on graduating the most students possible. So what’s the deal with MOOCs? MOOCs typically have one instructor who teaches thousands of students across the world. While enrollment rates are high, the same can’t be said of completion rates, which are typically less than 10%. The main difficulty with MOOCs is providing certificates after completion. Completion rates lie at about 26% for classes that have some type of certification, showing that certificates do motivate student to pass and complete courses. Research has shown that students who do complete the courses are generally not motivated by affordability. Also, most MOOC participants already have a bachelors or masters degree. This cannot be easily explained but it does show that those who cannot afford higher education do not have access to MOOCs or are uninterested. How are MOOCs currently being used in India? India has the second highest user population, at around 12%. A number of Indian universities have launched their own MOOCs, often in collaboration with American universities. The government announced its own platform called Swayam. Using the openEdx platform, students can take the courses for free and only pay for the certificate of completion. Another interesting initiative is Skill Up India. The platform features classes ranging from emergency first response to entrepreneurial skills. As the name denotes, the mission is to improve the employability and entrepreneurial abilities of Indian youth. Universities have struggled to balance the relationship between quality and quantity. 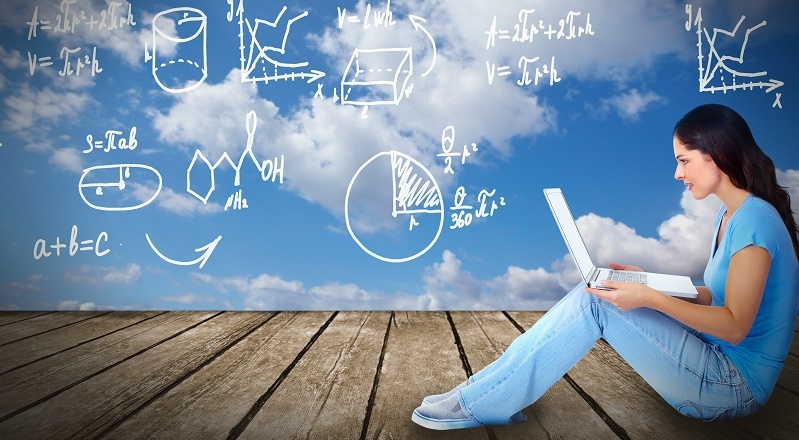 MOOCs can provide a transparent and measurable quality at large scale. A comparative study at MIT showed that MOOC students learned a tad bit more than traditional student. Blended instruction was the most beneficial to students. Certain science classes have incorporated labs and this can be utilized in all fields. MOOCs, similar to Skill Up India, might be promising to post graduates who would like to improve their employability or entrepreneurial toolkit. Equity is an important piece with Indian higher education goals. MOOCs have the promise of providing education to those outside the brick and mortar; however, they currently aren’t reaching that demographic. With Internet access at around 20%, increasing Internet access will increase the availability of MOOCs to the wider population. In many homes with piped in the developing world, piped water is only available a few hours at a time, and in some cases, they can go up to ten days without it. If they miss the water supply window, then the opportunity to collect and store the water has passed for the next 2-10 days. To ensure receiving water for their families, many low-income families must have someone waiting at home at all times. So a lack of water also becomes a lack of freedom for many women and children. As a solution, social business NextDrop was founded , and it began by sending messages to about 15,000 households in the southern Indian twin cities of Hubli-Dharwad. 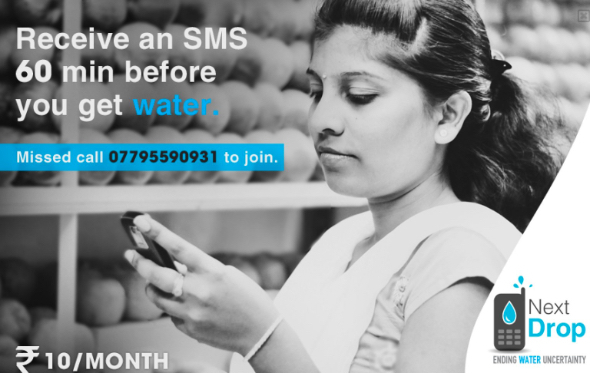 The service informs subscribers via SMS about 60 minutes in advance of when the water service will be switched on, switched off, and whether it is contaminated or affected by low pressure. The information is gathered the same way: Through the use of mobile phones, the service workers who manually open and close valves provide them with real time information on the water delivery. NextDrop’s young staff do not know whether to call themselves a social enterprise, or a tech start up, since they have received funding for both types of ventures. The startup built upon a novel team project that won University of California Berkeley’s Big Ideas competition. They work in conjunction with the local government, while at the same time gathering data that shows the structural problems with water delivery. It is an exercise in openness on behalf of a public delivery service. NextDrop has now expanded to Bangalore, where they have partnered with the Water Supply and Sewerage Board to supply city-wide services. To sign up, customers have to give NextDrop a missed call on a dedicated phone number. The system allows them to track the customer’s location via GPS, narrowing it down to three valve areas. They will register the user to the first one, send them their first delivery message, and ask for feedback to whether they received the water or not. That way they have them correctly allocated within three text messages. A simpler solution may have seemed to ask new customers for their address, but in many suburbs and settlements in India post codes are rarely used, so, NextDrop says, GPS is the best option. Is it a solution or just a plug in the leak? There are two types of payments that the poor must make to obtain their water supply. First there is the actual cash payment in exchange for an ideally reliable water supply. The second ones are called “coping costs”, which are “payments that are outside the system and that ought not to be required,” but that the poor must pay in order to gain access to water. The first coping costs is what are known as “informal payments,” which can vary from burdensome hospitality to outright bribes. The second coping cost is the time lost waiting for water since it has “the same impact of reducing poor peoples’ incomes, since time spent collecting water, or lying ill in bed cannot be spent earning money elsewhere” (UNDP, World Bank). NextDrop eliminates many of the coping costs that come with having to stay at home to wait for the water; the time and energy that could be spent in a wage-earning job. Yet the third type of coping cost is the one created by coping mechanisms such as NextDrop itself. The service creates a newer, albeit much smaller, cost. As the UNDP study suggests, theses emerging new costs are “cash payments that are not contemplated in the original design of the water scheme, but which pay for real services that are made necessary by the scheme’s inadequacies” NextDrop would not be needed if there were a 100% reliability of water delivery to the different areas of the city. NextDrop allows citizens to report whether the information the government provided is correct. So, after the initial SMS saying that water will arrive in an hour, they send you a follow-up message to see if that was indeed the case. If a lot of people in the same area report not receiving water, then the government knows there is a problem. When Hubli-Dharwad’s water utility used NextDrop’s monitoring tools across a three-month period, over 17,500 families got water when they otherwise would not. These families were at the end of their area’s supply cycle and wouldn’t receive sufficient water if the system lacked proper pressure. By engaging valvemen to report water pressure when they turned water on, and relaying this to utility engineers responsible for decision-making about those areas, NextDrop enables real-time adjustments to ensure equitable supply. NextDrop wishes to collect as much data as possible in order to develop a predictive system, which could potentially have a big impact on quality of service. A lot of this data is gained from field visits by the team, who map new areas to inform these models. Much of the data is already within the knowledge of the utility companies, but is not yet aggregated. As this system is fed with more information by customer and engineer feedback, and by previous lessons and historical trends, it will become increasingly effective and will enable the network to surpass its current efficiency levels of 60-80 per cent. Andrea Alarcón Sojet is a journalist and online media consultant in Bogota, Colombia. Pakistan’s agriculture sector employs over 40% of the population and contributes to 21% of the GDP. Other sectors are directly dependent, with the textile industry including raw cotton, contributing 11% of the GDP. Despite this importance, the sector has been struggling due to underdevelopment. Land rights and irrigation issues are clear policy and community issues. However, proper soil maintenance and low crop yields can be solved through working with farmers. What are the main challenges that farmers face? Crop yields have been low with stagnant growth since 1999. Pakistan’s production is 40% behind its neighboring countries. The harvest often goes to waste due to weak storage and transportation methods. Farmers are competing with large-scale agribusinesses that have access to resources, education and information. While extension programs send workers to educate farmers, most farmers view the programs as ineffective in disseminating information. The extension workers are often poorly trained and it is expensive for the workers to access many villages. What current solutions are available? USAID has partnered with Telenor, a telecom service provider, to provide mobile banking, information on weather and market prices to 1,700 farmers. mAgricorner is one of the first mobile apps focused on Pakistani farmers. It provides market prices, farm advisory and trading. 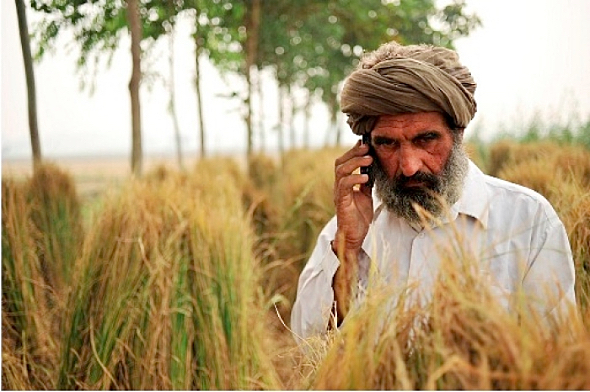 4 out of 5 telecom providers in Punjab have agriculture services using interactive voice response (IVR). Also the government began using satellite imagery to predict crop yields in the upcoming seasons. What are the attitudes toward technology solutions? A research study by CABI surveyed farmers in Punjab Province, one of the most fertile and populated regions in Pakistan. The farmers proved most interested in receiving voice calls and text messaging. Despite the stereotypes of most farmers, they are eager for more experimentation with ICT and agriculture. What are the concerns moving forward? A main issue is quality of content. Many farmers haven’t used the existing tools because the content quality is low. They often find the information too general and not relevant to their region and type of farm. Also, there is low market penetration of such tools even in Punjab. Although the government is launching satellite data initiative, the focus is to prevent food shortage through better import estimates not increasing crop yields. While there is significant research being done by the government and NGOs, there needs to be stronger focus on ensuring that research is utilized to increase agricultural productivity. With the rise in participatory development over the last few decades, there have been increasing discussions about power between NGO professionals and the stakeholders that they serve. Often these conversations can centre on international power imbalances (e.g., North v. South), yet with the rise of various middle classes and their civil society activism over the past few decades, questions have also been raised about class hierarchies domestically, especially in India. Emblematic in these questions about class is the role of ICTs in NGO projects facilitating citizen participation in governance. In a country with over 900 million mobile subscriptions, with just over ten percent of them being smart phone plans, India has been called the next smartphone frontier. Moving away from discussions merely about citizens’ access to ICTs as a barrier to participation, other questions must also be asked by NGOs engaged in ICT4D that depend upon a large volume of users for programmatic “success”. One of these tough questions centres on the class makeup of one’s organisation and its effects on the tools provided to empower citizens. The case I examine here is that of Ipaidabribe.com (IPAB), where I spent seven wonderful months as a volunteer researcher during my MA studies. Informed by discourses in the anthropology of development, as well as historical and contemporary research on India’s middle classes, I contend that a number of the NGO’s perceived barriers to citizens utilising IPAB were limited by the class-based experiences of the staff. It is estimated that 30% of the Indian population have “some semblance” of English fluency, or at least the ability to communicate orally in English, while roughly 10% have written and grammatical fluency as well. Given the historical marker of English being part of an elite or middle class identity, it is difficult to grasp how a country of over 30 languages and hundreds of dialects would benefit from an English-only platform. Furthermore, the dismal amount of reports on the Hindi portal can possibly be seen as a class-based distinction in IPAB’s reporting. Considering Anna Hazare and other high profile anti-corruption activists in the early 2010s, some argue that the middle classes were united under a specific definition of corruption, to be seen as morally reprehensible and to be resisted at all costs. 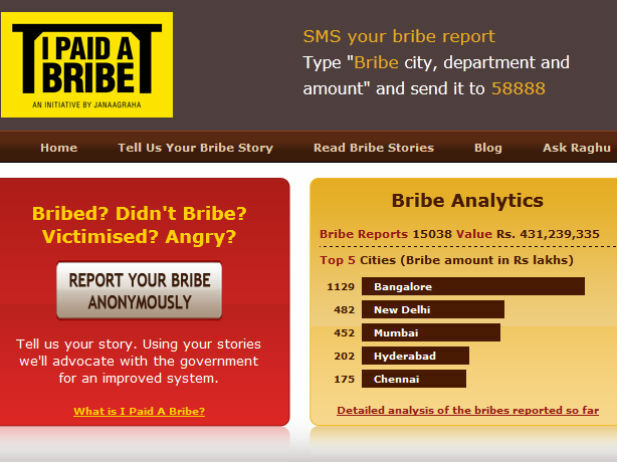 Janaagraha’s iPledge campaign is emblematic of this concept of corruption, where users are asked to sign a pledge that they will never pay a bribe and that the power of making change rests in refusing to give a bribe to whatever party is demanding it. This concept breaks down when anthropological discourses of corruption, such as de Sardan, bring forth the idea that various moral logics of kinship and community complicate defining corruption and its moral implications. One can use the example of the street vendor, who does not possess the money to pay for a license, who bribes the local police officer with a percentage of his or her earnings to not be removed from the sidewalk. While this fits the definition of petty corruption, it may not be seen as morally wrong because the vendor can continue providing a livelihood for his or her family. Considering Chatterjee, the urban poor can find inventive ways to circumvent established laws for the sake of their livelihoods, where ‘legal’ courses might be out of reach. In India, there are over 900 million people who subscribe to mobile telephone plans, many of which do possess basic mobile browsers. However, only 110-120 million of these subscriptions are for smart phones, an arguably much easier route for using Internet-based platforms such as IPAB. One of the issues encountered is seeing access to the Internet as the biggest or one of the only barriers to a citizen using an ICT4D tool to report corruption. During my research, I performed interviews and ethnographic research on auto-rickshaw drivers in Bangalore. They were often the objects of corruption reporting because they tended to demand higher-than-metre-rates for taking their generally middle class customers for rides. Even though nearly all of them had access to the Internet on their basic mobile phones, only a handful used the Internet features or even knew what the Internet’s purpose was. Of those few who did use their mobile Internet, most used it for games or music. Many auto-rickshaw drivers were also victims of police corruption, heavy licensing fees and predatory lending schemes, which gave rise to why they demanded higher-than-metre-rates. However, in many social media posts and articles from IPAB staff and interactive users online, auto-rickshaw drivers were seen as another ‘urban woe’ about how corrupt India had become and essentially a lower class ‘demon’ figure. With much funding from Indian and international IT companies, as well as western philanthropists, Janaagraha is at the forefront of technocratic middle class activism and governance in urban India. 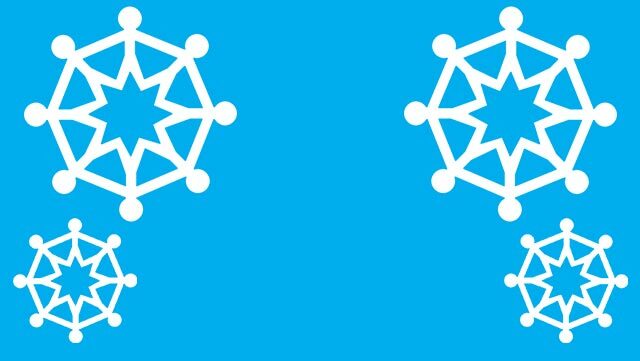 While its causes are often just and necessary, some of its programmes seemingly cannot escape its middle class organizational makeup and users. Like much of the ‘new middle class’ activism across urban India, languages invoking human/consumer rights are often utilised to create their preferred city, sometimes at the expense of the urban poor. One would not know this from the language of liberation in English media that has covered the IPAB platform, both domestically and internationally. However, certain questions must be asked by NGO professionals in these contexts, to try and live up to the organisational mission of improving the livelihoods and experiences of ALL urban citizens. Difficult, introspective questions must be asked about one’s own language choices, moral responses to perceived governance failures, potential users’ already-existing interactions with technology and potential ‘organisational blinders’ based upon the staff makeup to ensure that, directly or indirectly, the social ills an organisation is trying to alleviate are not replicated or reinforced through one’s own programmes. Chris Speed is an ICT4D researcher and content developer based in Nashville, TN, USA.